Dr. Barry H. Trachtenberg is a cardiologist specializing in heart failure and cardiac transplantation. 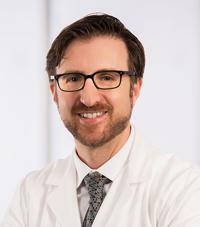 He is the director of the MDCA Cardio-Oncology program, an evolving field devoted to prevention and management of cardiovascular complications of cancer therapies such as chemotherapy and radiation. He is board certified in internal medicine, cardiovascular disease, echocardiography and advanced heart failure and transplant. He received his Bachelor of Science from the University of Pennsylvania and attended medical school at the University of Texas-San Antonio. Dr. Trachtenberg, a native Houstonian, completed his residency in internal medicine at Baylor College of Medicine prior to his cardiology training at the University of Miami School of Medicine. His clinical experience includes heart failure and heart transplantation, mechanical support pumps and cardio-oncology. He performs diagnostic catheterizations (including radial artery approach) and endomyocardial biopsies. He has contributed to many publications related to advanced heart failure, cardiac transplantation, regenerative therapies, and ventricular assist devices.